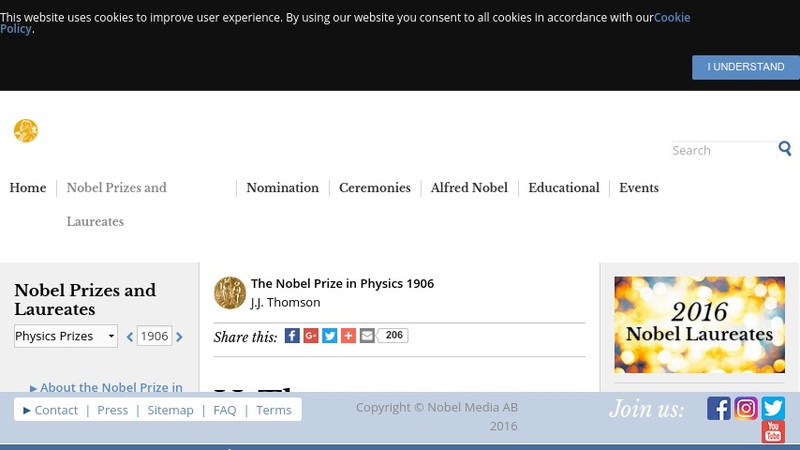 This web page summarizes the life and work of J.J. Thomson. The content was written in 1906, the year he won the Nobel Prize and then subsequently updated. Includes some family information.